Luca Ciferri is an Automotive News reporter based in Turin, Italy. 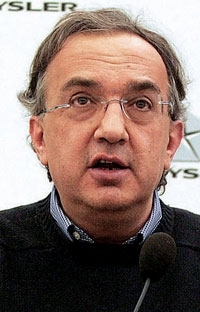 Sergio Marchionne's five-year restructuring plan for Chrysler Group is as ambitious as the plan he presented for Fiat Group in November 2006. But there seems to be less wishful thinking in the Chrysler plan. For example, from the day the Fiat plan was unveiled, I doubted that either Alfa Romeo or Lancia could more than double their sales to 300,000 units a year by 2010 -- not relying on product portfolios that wouldn't be expanded much. This year, Alfa, planning for 115,000 units, and Lancia, planning for 120,000, each are further away from 300,000 sales than they were in 2006. Similarly, Marchionne's plan to multiply Fiat sales in China tenfold by 2010 -- again, to 300,000 units -- never materialized. Fiat is starting over in China for the third time in 10 years and currently doesn't produce a single car in the world's fastest-growing market. Based on Chrysler's numbers this year, Sergio Marchionne's ambitions for the automaker seem to be a stretch. But compared with 2008 numbers, his plan seems ambitious but doable. Initially, expecting Chrysler Group sales to more than double from 1.3 million units estimated this year to 2.8 million in 2014 might seem rash and reckless. But using 2009 as the base year is misleading. This year has been terrible for the U.S. market and horrible for Chrysler, which also shut down production for two months during its stint in Chapter 11. Using 2008 as the base year, when Chrysler sold 2 million units, means the 2014 target is a 40 percent gain in six years -- a brave projection, but not treacherous. And Marchionne's goal of a 7.7 percent operating margin in 2014 would not be the equivalent of a moonshot. In 1997, the last full year before the acquisition by Daimler-Benz, Chrysler had a 7.7 percent operating margin, with $4.7 billion in operating profit on revenue of $61.1 billion. 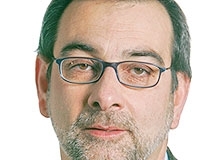 Marchionne has an advantage at Chrysler. At Fiat, Marchionne launched his plan without being able to restructure substantially Fiat Auto's manufacturing footprint and cost base. He said that in 2006, Fiat Auto was breaking even on an operating basis at 1.85 million units a year. The new Chrysler, which was restructured during bankruptcy, is more efficient. It can break even on an operating basis with 1.65 million global sales, according to the Chrysler plan. Chrysler starts generating net profits at 2 million annual sales. It may be a bit misleading using a pre-bankruptcy company, but compare that with 2008. Last year Chrysler sold 2.065 million units but, with its old cost base, had a net loss of $16.8 billion. Many analysts question Chrysler's ability to regain a 13 percent share of the U.S. market, from the barely 9 percentage points it fights for now. OK, Marchionne's plan could look a bit too aggressive on his assumptions about market share gains. But the plan's assumptions about the growth of the market seem overly conservative. A slightly slimmer 12 percent share of a market that many analysts see reaching 16.8 million units in 2014 still would get Chrysler to the 2 million U.S. sales projected in the plan. Even an 11 percent share of a 16.8 million-unit U.S. market would mean 1.85 million Chrysler sales -- 200,000 units over the breakeven point. To reach a net profit, which starts at 2 million units, Chrysler in 2014 can count on an additional 300,000 units between Canada and Mexico and half a million sales from international operations. When Marchionne launched his Fiat plan, he was just out of a disappointing five-year relationship with General Motors. The divorce from GM left little in terms of shared technologies but $2 billion in cash. That was helpful, but Fiat had to rely almost entirely on its own resources and a few alliances, such as getting an SUV from Suzuki. This time Chrysler and Fiat are becoming "inextricably intertwined," as Marchionne says. That means they will share investments on new platforms and powertrains, thus lowering the financial risks on both sides of the alliance. A lot remains to be delivered. But lowering the risks increases the potential of getting rewards.